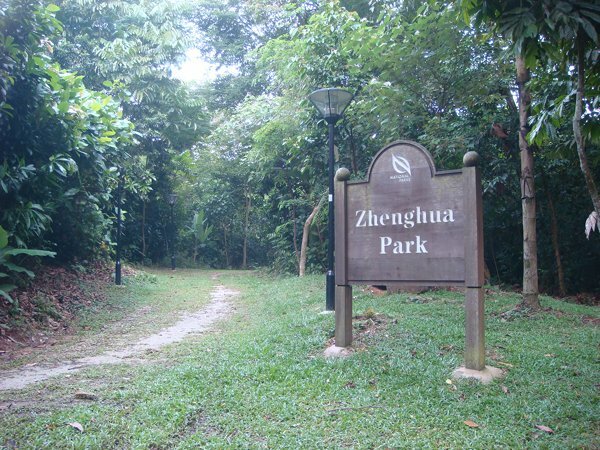 The ZhengHua park stretches in a long corridor along the BKE highway and links the Bukit Timah Nature reserve to the Pierce Reservoir. You could run this about 3km stretch on its own or build it into a larger circuit along the different park connectors or across the jungle trails. 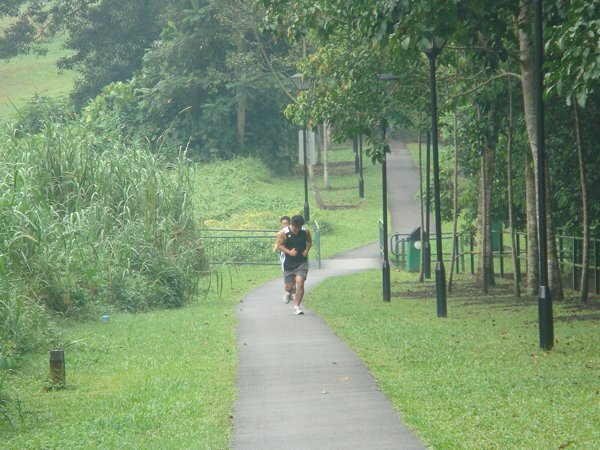 Although near the highway, it still provides a relatively green and peaceful environments. In the early morning hours, you can find a whole bunch of people jogging or exercising tai-chi on the trail or facilities. By public transport: The closest LRT (not MRT!) stations are Petir or Segar, off Choa Chu Kang. By bus, number 171 or one of the feeder buses off Petir LRT station. By car: The best is go up Chestnut Drive and park the car at the roadside. The road is not very much in use as it is a dead end. No official parking here but enough space for a few vehicles especially in the morning, when it is not so crowded yet. Later in the day, cyclists for the mountain bike trail can park here and there may be less space. 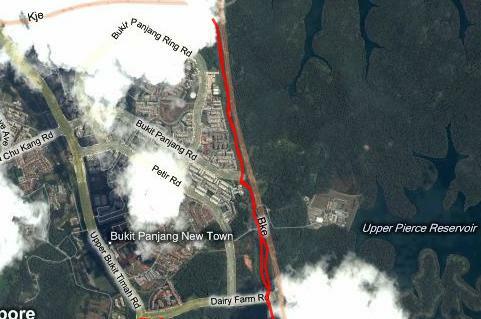 The track: About 3km in an almost straight line, along the BKE. North of Chestnut drive, the track is asphalted and only narrow at times. It is not flat and provides some good up- or downhill portions. On the way, there are some gym facilities. 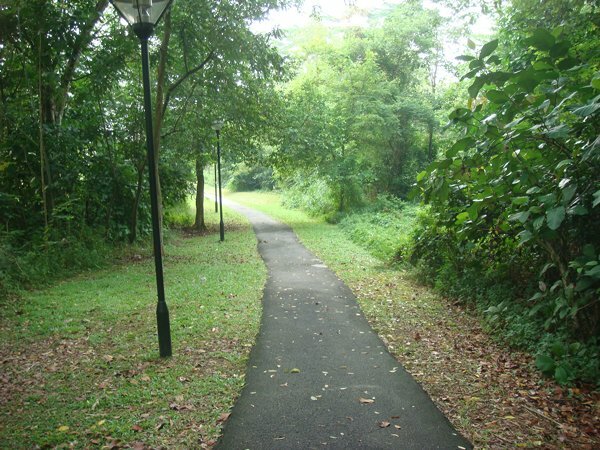 Towards the South of Chestnut, it is a dirt trail that ultimately ends at the Bukit Timah Mountain bike trail. 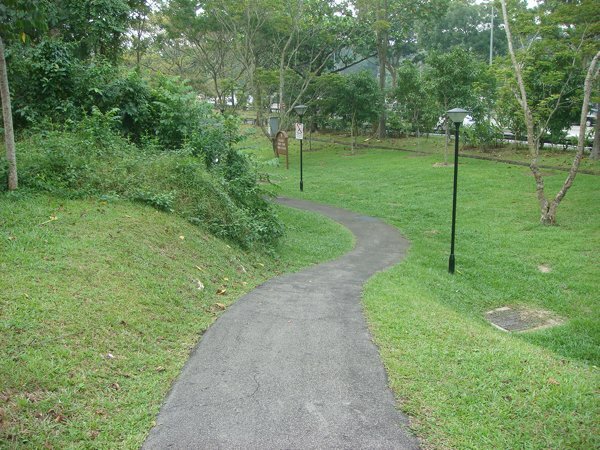 Towards the very North end of the park, you may chose to continue using the Choa Chu Kang park connector or loop back to Zhenghua Park via the connector. To the East, you may also chose to continue to the forest : turn where there is an underpass under the BKE. 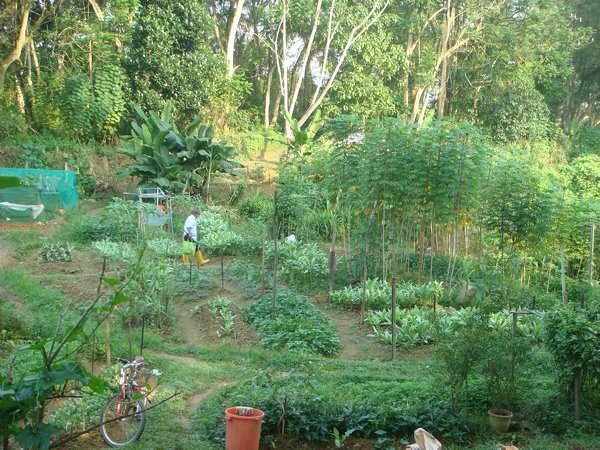 After having crossed over (under), you will see a neighbourhood gardening place. Keep to your left and go uphill - this tracks leads to the Central Catchment area in the North.